Much of the information for this article was found at amd.org. This topic is very pertinent to us at St. Anne’s! Three of our basic care residents, in fact, are totally blind. Other people here, including myself, face less serious vision impairments. People can be born with conditions that result in low vision or develop problems later. In the United States, the most common causes of low vision are age-related macular degeneration (AMD), glaucoma, cataracts, and diabetic retinopathy. AMD affects over fifteen million adults over the age of 50. 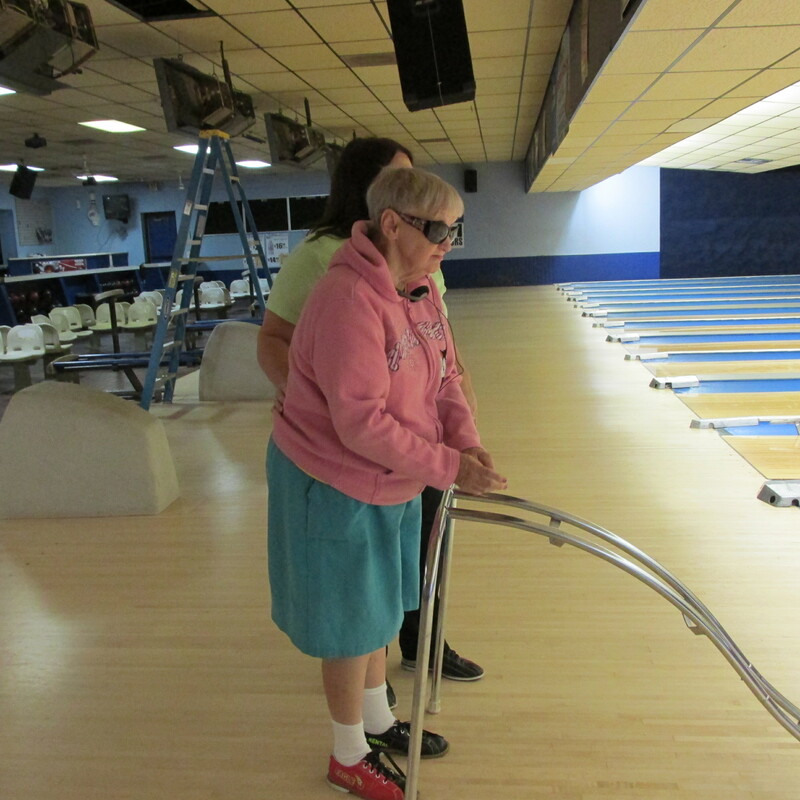 People with blindness can do all sorts of things, even bowling! One of our ladies was born with sight but started losing it while in her thirties due to glaucoma. The doctors said her sight would not improve. For a time, though, she rode bicycle and worked at the hospital. Now living at St. Anne’s, she does very well for herself and even helps out in the community. February is a good month to be aware of low vision and start making extra efforts to be helpful to those who face this challenge. For us who live and work with the blind, we can be alert for them of obstacles which they are in danger of stumbling on. We can guide them through an area that is cluttered or set up differently than they are used to. Improve the lighting. This may not necessarily mean that you should increase the lighting or the brightness. Glare is often a problem for people with low vision. Experiment to see what works best for you. Special lights are available. Use high contrast for reading and writing. Write in large letters with a broad felt tip pen on white paper. ND Vision Services here in Grand Forks is a wonderful resource.